During the period that Shakespeare wrote most of his plays, criticism of rulers was forbidden for fear of shutting down the theater or worse! So the bard reached back into history to draw portraits of individuals whose hunger for power, insecurities and corruption led to the the rise of tyrants and the terrible consequences that followed. 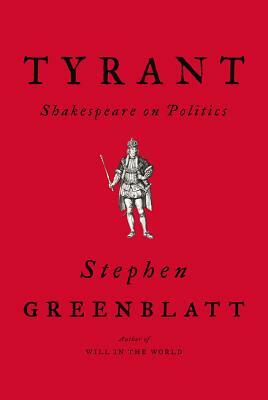 Not once does Greenblatt mention the current resident of the White House though he acknowledges writing this book in reaction to the 2016 elections. Shakespeare's tales continue to be relevant!